Given the varied topography of the Western Cape, there are so many beautiful wine regions in South Africa. While some of these regions can be done as day trips from Cape Town, we recommend spending AT LEAST 1 night in one of the wine regions if time permits. For the first-time tourist to South Africa, we would recommend staying and exploring within the triangle of Stellenbosch, Franschhoek, or Paarl (please see map below). Personally, we did 1 night in Stellenbosch. Each of these towns have their own charm and character with plenty of great lodging accommodations. If you do not have the time to spend a night, Stellenbosch is less than a 1 hour drive from Cape Town. We recommend NOT to use a large tour group to do these wine regions as they won't necessarily take you to the best vineyards and you may feel rushed through the process. Of course, be safe and use UBER if you plan to drink. 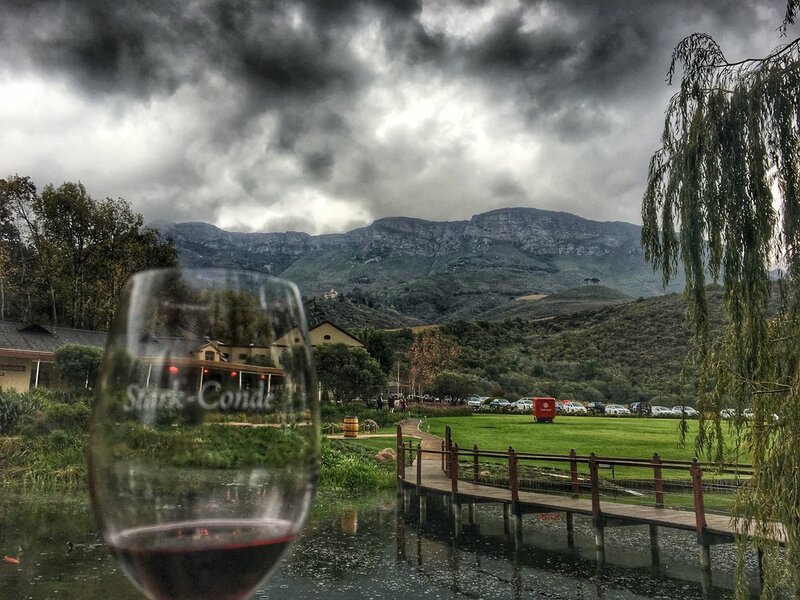 If you have several days in Cape Town, you can also explore a wine region within the Cape Town suburbs: Constantia. Personally, we spent a half-day in Constantia. We will discuss some of our recommendations for Stellenbosch and Constantia below. We went on the Stellenbosch excursion with another couple who helped us plan the trip; among our friend Taz's many talents is her makeup artistry: https://www.facebook.com/BlushOn87/. 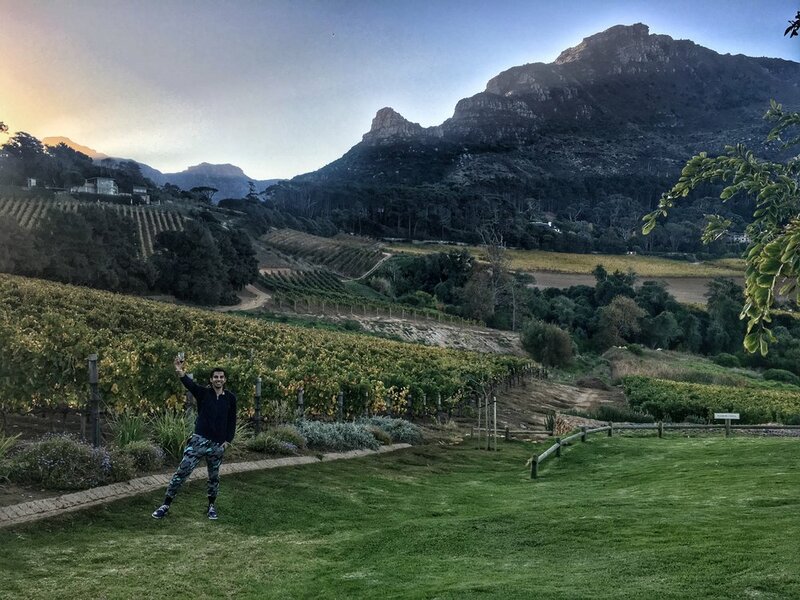 The Cape Winelands are a year-round destination. Weather considerations should be more dependent on other travel plans in South Africa (safari, beaches, Cape Town activities, garden route, etc). For general ideas to plan your entire South African trip, please refer to http://www.seekingsky.com/blog/2017/8/3/south-africa-introduction-preparation. Just know the Southern Hemisphere winter brings a higher chance of rain if you plan to hike or bike in the wine regions. Lucky for you, Constantia is right outside of the Cape Town city center and is one of South Africa's oldest wine growing regions. Nestled between Table Mountain, False Bay, and Atlantic Ocean, the neighborhood of Constantia is in an ideal location for grape cultivation. Below, we list 2 vineyards and 1 restaurant we recommend. Less than a hour away from Cape Town is one of the famous wine growing regions in the world and beautiful areas in all of South Africa. As we stated above, we strongly encourage you to check a part of the triangle of Stellenbosch-Franschhoek-Paarl if you trip has the flexibility and time. 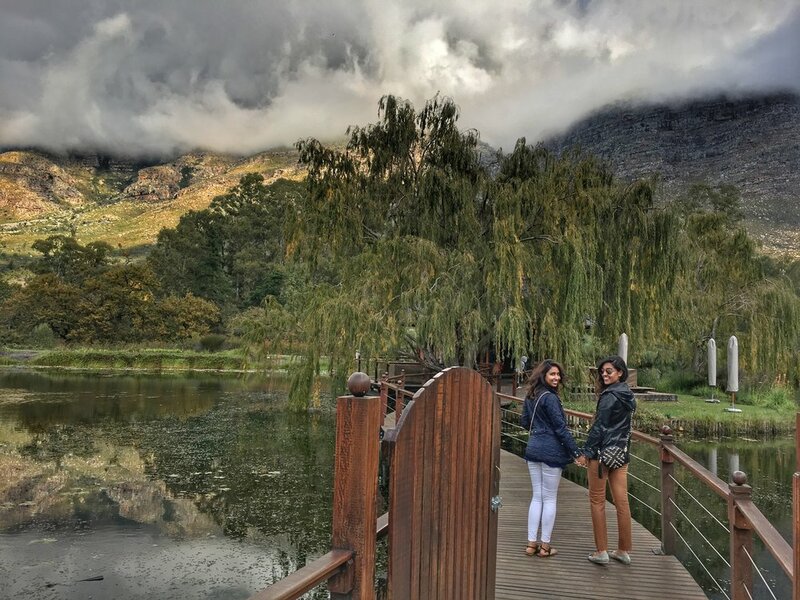 We chose Stellenbosch and it exceeded our expectations. You are spoiled for choice here in this town that reminds you of a small California town. Given that its an university town, it also has a solid nightlife which can often be lacking in many other wine regions around the world. Uber is available in Stellenbosch. The wait times and prices are a little bit more expensive than Cape Town. We stayed 1 night in Stellenbosch and we wish we had more time here. Below, we will discuss our recommendations of vineyards and lodging which include two of the most beautiful vineyards we have ever seen.